Taken at Cox Hall Creek. 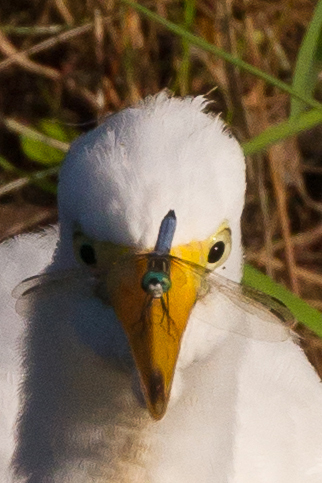 The first 5 shots were just the egret. Then, the dragonfly landed. I couldn't believe it. HAHA. I'm too dumb to know how to do that.